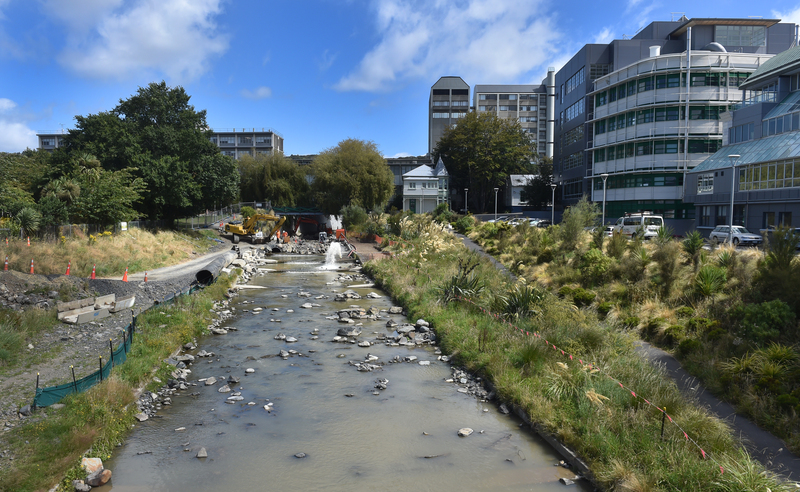 Water splashes into the stream during work on the Leith flood protection scheme at the University of Otago yesterday. Construction on the section of the Water of Leith between the Union St bridge and the Leith St Footbridge is due to be completed soon. 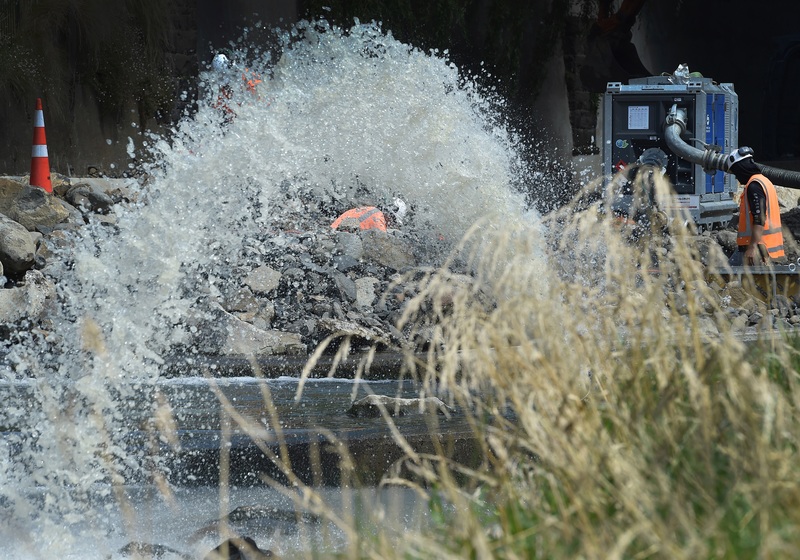 The final stage of the works, the construction of a culvert at Dundas St, begins on Monday, when the Dundas St bridge will be closed to traffic until August this year.